A response to an invitation to adapt Yoko Ono’s famous film scores, published in Grapefruit in 1968. Film scores are blueprints for potential films; unlike traditional/industrial film scripts, which are prescriptive, film scores encourage an “open work”, one which is, arguably, co-created by the score originator and the interpreter. In the mid-1960s, reflecting her contact with fluxus ideas, Yoko Ono produced a number of highly imaginative scores for films which were never translated into film works. Shot on 16mm, Film no 6 and Film no 9 are time-lapse sequences of clips found on Youtube, by entering keywords from Ono’s instructions on the site’s search engine. The films were re-photographed, from a computer screen, frame by frame, with a 16mm stop-motion camera. Commissioned by Museum of Contemporary Art, Sydney (AUS) for Re-enactments and imaginings part of War is Over! 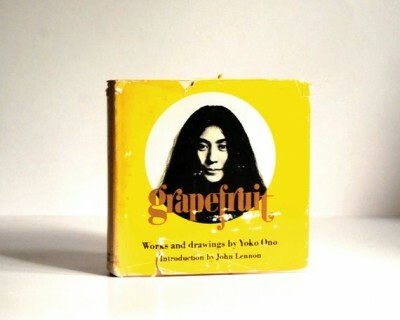 (If you want it): Yoko Ono.